With a recent theatrical release from Hollywood and the hit British version for BBCTV, Sherlock Holmes is hot right now. There’s even talks of making an American version for tv, based on the British version! With a newfound popularity for detective extraordinaire, it doesn’t come to a surprise that All You Can Books is featuring The Adventures of Sherlock Holmes as one of the free downloadable books available for a limited time. Written by Sir Arthur Conan Doyle, The Adventures of Sherlock Holmes is a collection of twelve short stories that were originally published in the popular British magazine, Strand, over a century ago (July 1891 to June 1892). Each story is from the perspective of Dr. Watson, Sherlock Holmes’s good friend, as he marvels at the cleverness of Holmes observations and ability to solve even the most complex of crimes. This book is a must-read for anyone who loves mysteries! Interesting fact about Sherlock Holmes: The title character was named after Oliver Wendell Holmes, Sr, a renown American poet and physician who is best known for his “Breakfast-Table” works. 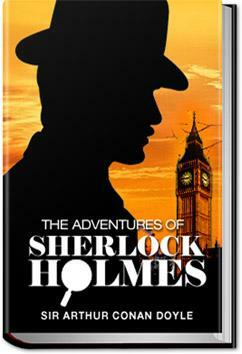 This entry was posted in Sherlock Holmes on February 19, 2012 by allyoucanbooks.